How is bulimia recovery like a travel bug? I’m not sure if we’re born with the bug to travel or if it’s something you get after your first big trip, but I’ve had the travel bug for as long as I can remember. Traveling for me is just about the best thing in life. I don’t want to be on a plane or live out of a hotel all day every day. But I get such a high from traveling that I look forward to the next trip and enjoy the journey to the fullest. I was sharing with a few friends about a recent trip and my mantra which is “I have good travel karma”. What I mean by that is that whenever I’m on a trip I know good things will happen. They always do! I’ve come to expect great things. And we always get what we expect. I see people at the airport worried about their luggage, concerned about making their connections, and afraid whether they’ll have a comfortable bed to sleep in that night. I have none of those worries. In fact…I have the opposite. I can hardly wait for each unfolding moment because I know that it will be even better than I’m hoping for…and it always is! What would happen if I trusted every moment of my life to unfold even better than I imagine it? Think of the possibilities of that!? Indeed I’ve made that shift in my thinking and it’s made a huge difference in my day-to-day experience of life. What does this have to do with bulimia recovery? I’m sharing this because I just made the connection between my bulimia recovery and my travel bug. Once I was bit by the travel bug, I could not stop thinking about the places I wanted to visit, reminiscing about the wonderful places I’d been to and the excitement I have about my next trip. I enjoy creating travel memories with my husband, I dream of traveling all the time, and love learning from other people’s great stories. My bulimia recovery journey is now like my travel bug. It’s something I get excited about every day. I’m at a point in my personal development that I dream about my next steps, or leg of my journey, and look to them with excitement. I can’t wait to see what life brings me that will teach me about who I am, what I’m up to and how I can be a contribution to my friends, family and the world. 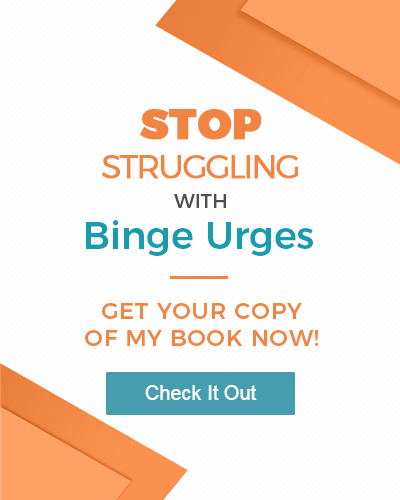 Recovering from bulimia in the beginning was strenuous, challenging, awkward, worrisome, uncomfortable and filled with lots of ups and downs. Kind of like my first trip aboard. Traveling outside the country was an opportunity to grow my comfort zone. Growing my comfort zone in recovery is something I’ve learned helps me become the person I want to be. The never-ending expansion of who I am. Today I’m traveling to Canada (I’m literally typing this on the plane and will post it on my bulimia blog when I land in Vancouver). I feel like a pro at international travel thanks to having done it many times and pre-paving my journey for a great trip. Recovery is a lot like traveling. The more you practice it, enjoy the growth and journey along the way, pre-pave yourself to have a good time, recognize that there may be things you didn’t expect, but know overall that you have good recovery karma – everything will turn out beautifully. I trust and have faith in all of the cooperative components of my trip today to be beautifully timed and gracefully executed. And if they aren’t, I also trust that there’s a reason for it and in the end the experience will be just right. Wherever you are on your recovery path, I hope you’ll trust your Source, the Universe or God to be on that journey with you and to allow the natural flow of your growth and expansion to happen. What is your eating disorder recovery story going to be? Will it include a bumpy and awkward phase in the beginning? Most likely. Then will you have some big learning opportunities that set you back and rubber band you to leap forward? Probably. Over the years will you have opportunities to practice what you’re learning both about yourself and life? You bet. Will you begin to trust more in the Universe, relax and allow more and more as you let go of control? I hope so. Then as you look back 7 years from now (like I am today) you’ll realize it all unfolded…as it was meant to. I want you to have the bulimia recovery bug like you might have a travel bug. Start to become excited about your journey and the places you’re going. Enjoy your processes for growth and learning. Accept your set backs as part of the experience and move ahead as gracefully as possible. Whether you feel you’re making progress every month, having relapses and fits or starts, or you’re nervous to even take a trip called recovery – be where you are and have faith you have good karma, too. Your recovery bug will bite when you’re ready. If you’ve already got the bug, then keep allowing the natural expansion of who you are. You’re meant to shine. You’re beautiful. You’re fabulous. Here’s to your life’s adventure and to your journey!